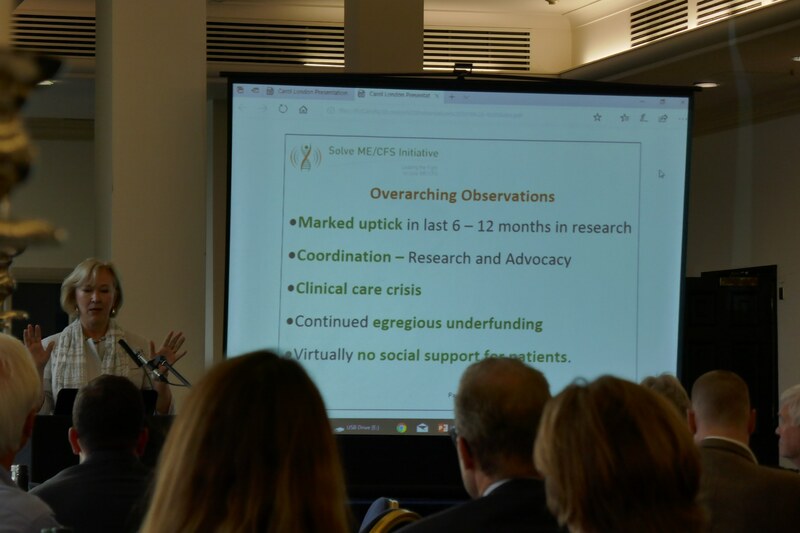 The 13th Invest in ME Research International ME Conference 2018 - IIMEC13 - took place on 1st June 2018 in London and attracted delegates from twenty different countries - from Europe, North America, Japan and Australasia. The conference day was preceded by the 8th Invest in ME Research International Biomedical Research into ME Colloquium - a two day closed researchers' meeting with almost 100 eminent researchers invited to attend from fourteen countries. 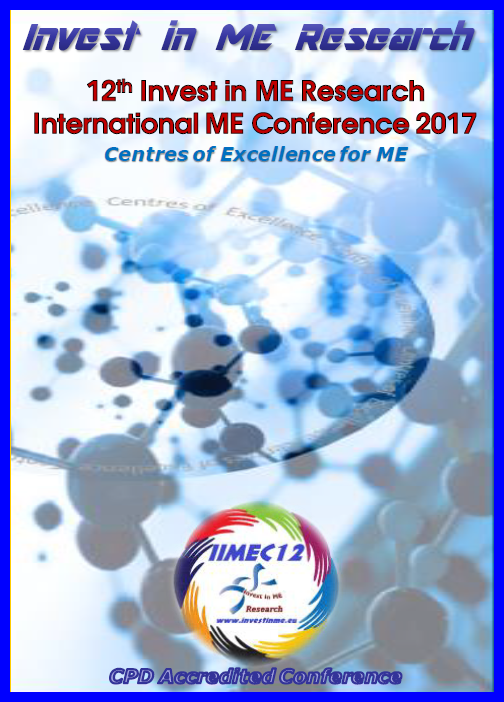 Prior to the IIMEC13 conference the charity held a two-day Biomedical Research into ME Colloquium (BRMEC8) - our eighth annual colloquium. These three days brought together researchers (both new to ME and experienced ME researchers) to collaborate and share knowledge for the benefit of future research into this disease by enhancing education and effectiveness of research efforts. Through the multiple international collaborations the charity has formed there was an incredibly positive atmosphere beginning with the BRMEC8 Colloquium and continuing through the IIMEC13 Conference days. Research into Myalgic Encephalomyelitis has, after years of effort, emerged into the mainstream of research and is receiving increasingly more attention from both major research institutes in several countries as well as national health organisations. The mainstreaming this field of research has been one of the major achievements of the BRMEC* Colloquums and the IIMEC* conferences. 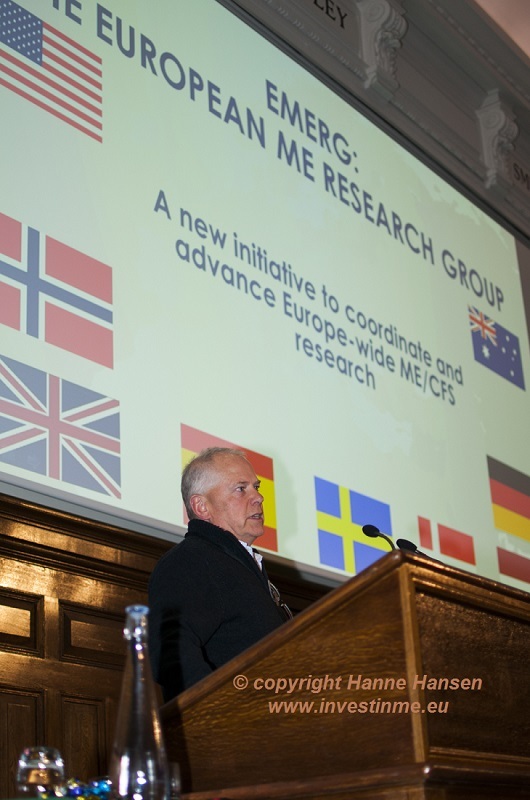 The IIMEC13 conference showed the major initiatives and research taking place to continue an international collaborative strategy for biomedical research into ME which Invest in ME Research has been championing since after the 2007 #IIMEC2 conference. 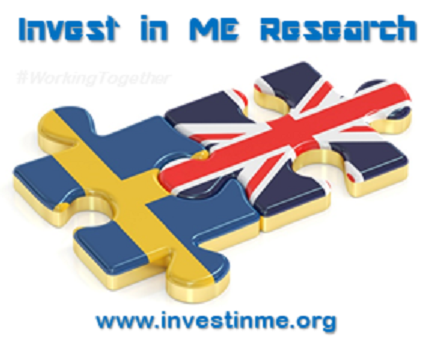 The events organised by Invest in ME Research are based on a collaborative strategy of biomedical research into ME which we believe will progress this complex but exciting area of research and eventually lead to appropriate development of patient care and treatments for people with ME. during ME Conference Week, where young researchers were able to present and network in a friendly and supportive atmosphere. He also mentioned that the science being presented at the BRMEC8 Colloquium was getting better each year and it would not be long before someone comes up with a eureka moment. He mentioned how pleased he was that each presentation took patients into account and it was not just a case of showcasing one’s science. Patients were at the heart of each presentation. Dr Elizabeth R. Unger, CDC talked about new Initiatives and gave an update on CDC activities. public health. The aim is to add ME/CFS into the CDC’s mainstream programme. One of the tracking systems the CDC use is the Behavioural Risk Factor Surveillance (BRFSS) that was set up in 1984 involving 15 states. The surveillance has now been extended to all 50 states, district of Columbia and three territories. 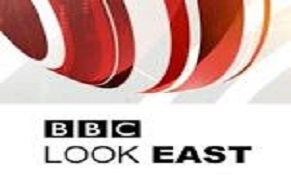 They interview more than 400,000 adults each year. Data is collected on health related behaviours, chronic health conditions and use of preventive services. burden that are currently lacking in ME/CFS in a sustainable way. as a new optional module for 2019. The benefit of this surveillance tool is that ME/CFS can be tracked to many variables such as quality of life, physical activity, comorbidities etc. The reason for ME/CFS being accepted to the programme now is probably due to increased persistence, advocacy and the CDC presenting at public conferences. project. CDC also recognises the importance of healthcare education. 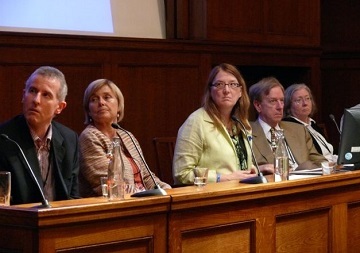 ME/CFS featuring four doctors (Lucinda Bateman, Natalie Azar, Nancy Klimas and Jose Montoya). A roundtable involving stakeholders is being planned for the end of 2018. 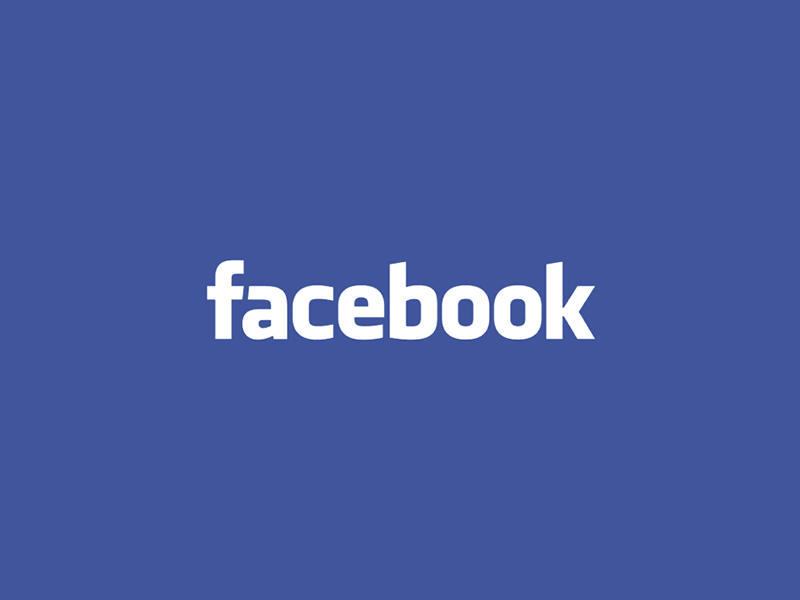 Data has been collected to standardise methods such as physical testing. CDC has joined efforts with NIH in the common data elements project that will help in standardising research. Dr Vicky Whittemore NIH gave an update on NIH activities and the NIH/CDC Common Data Elements. is not until “the rubber hits the road” and you take action that is important. Funding from the NIH for ME/CFS since the fiscal year of 2016 to 2017 has doubled but it is clearly not enough. 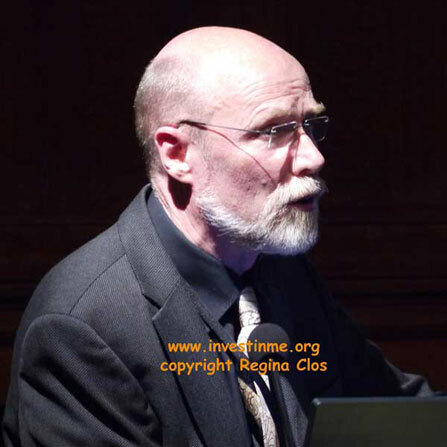 the number of institutions interested in funding ME/CFS research has increased from 8 to 12. Dr Whittemore then mentioned the recent funding given to three research centres and one data centre. 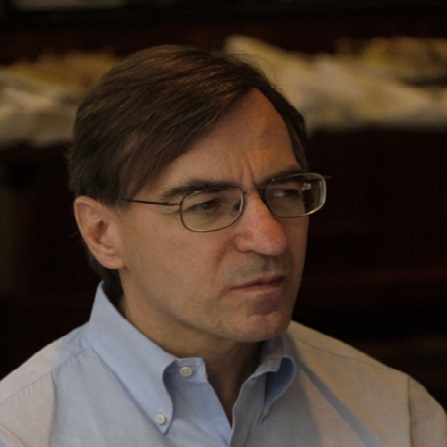 Columbia University (Ian Lipkin) will utilise their existing samples to look for microbial agents and triggers playing a role in initiating ME/CFS. They will also do a comprehensive genomic analysis to identify potential metabolites that might be present. Jackson laboratories (Derya Ununmatz) will take a detailed look at how the immune system, the microbiome and metabolism interact in ME/CFS. These centres are also required to set aside money for a collaborative project that they are in the process of putting in place. The NIH is also collaborating with the Canadian Research Council that has set aside money for applications for a Canadian ME/CFS research centre. Dr Whittemore announced the working group of NINDS Advisory Council that helps progress ME/CFS research. The group is chaired by Steven Roberds, CSO of the Tuberous Sclerosis Alliance and NINDS Advisory Council member and additional members will be invited by NINDS director Walter Koroshetz. 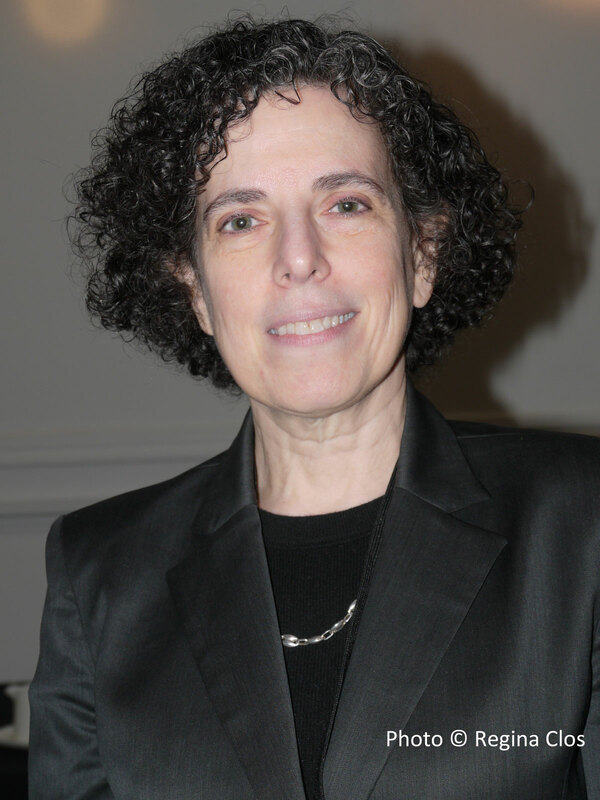 The working group will then give guidance to the National Advisory Neurological Disorders and Stroke Council (NANDS), Dr Koroshetz and the trans NIH working group. 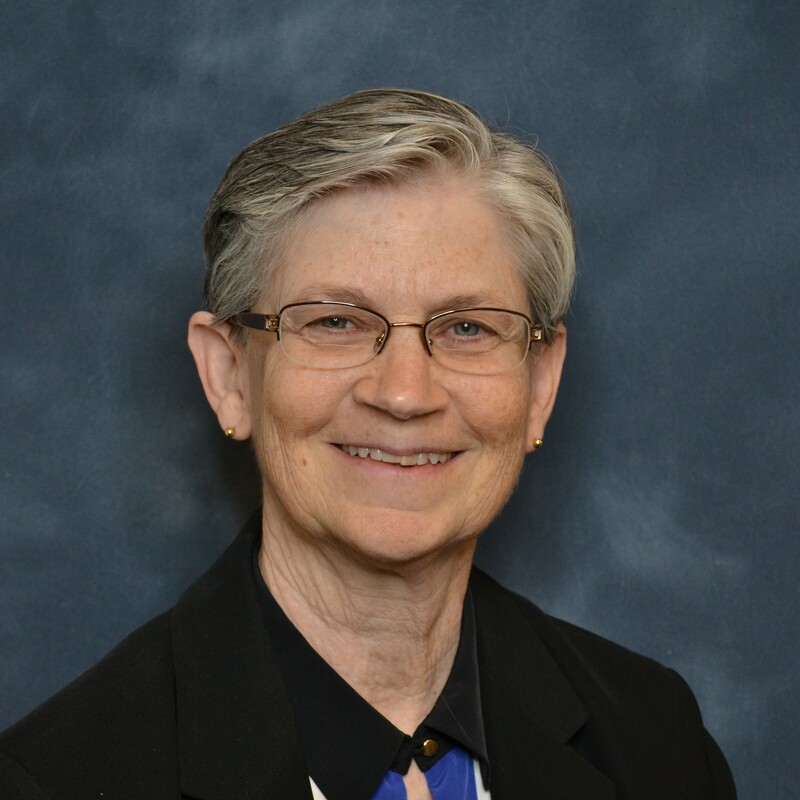 Dr Whittemore also announced the date for a NIH ME/CFS conference to be held in Bethesda on the 3-4 April 2019 and as she was impressed by the young investigator workshop organised by IiMER then she will work with IiMER and the Thinking the Future group to continue and repeat this in the US. Dr Whittemore then went on to describe the Common Data Elements (CDE) project that she thought had started as long as ten years ago. The aim was to harmonise information/to create common language so that researchers will be reporting their data in the same way all over the world. This would help make data comparable across studies. This is a dynamic and evolving process as more is known about the disease. The objectives of the CDE project is to identify CDEs used in clinical research, present data elements in standard form, identify common definitions, standardise CRFs (Common Report Forms) and to provide information to researchers for clinical data collection and sharing. The work started in December 2016 and finished in February 2018. The project was divided into 11 subgroups. All the groups held conference calls and discussed matters. Documents were produced and reviewed first internally before being released for public comment and now they have been published on the NIH website. There will be ongoing revision and review so it is a dynamic process. The members of the sub groups are now preparing a publication about the process of this project. 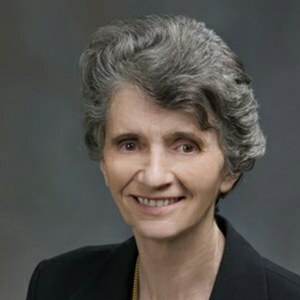 Dr Whittemore described the subdomains that included everything from the basics such as fatigue to biomarkers and explained how the CDE terminology/classification includes general core, disease core, supplemental (highly recommended), supplemental and exploratory (such as biomarkers) information. The working group involved participants from all over the world and it was the first time that a CDE NIH working group had included patients and patient advocates from the beginning of the process and not just allowed them to comment on the finished product. Dr Whittemore stated that it was a very positive experience. Dr Unger was asked why the CDC chose to do only a one day CPET test and Dr Unger replied that this was based on the advice of the clinicians involved. The Workwell Foundation preferred the two day test but understood reasons for the one day test. The CDC also enlisted the help of Dane Cook and felt the data (not yet unblinded) will be valid for the purpose. Dr Avindra Nath NIH talked about Challenges in Study design and Identification of patients with Post-Infectious ME/CFS. Dr Nath started by commenting on the superb two day colloquium that took place ahead of the conference. He thought the scientific data emerging is unprecedented. Dr Nath wanted to make the presentation more of a dialogue than presentation as he has learned so much from discussions with the community. 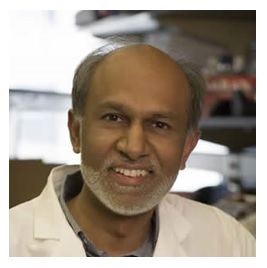 Most of what the NIH in-house study is doing is available on the web so Dr Nath gave a short summary mentioning how the NIH is investing in this disease. ME/CFS is housed in the NINDS institute and considers ME/CFS as a neurological illness. The way that the NIH works is that there is an extramural budget (90%) which is there for people to apply for grant funding. NIH is unique in that it accepts grant applications from anyone, anywhere in the world. Then there is an intramural programme that involves a unique clinical research centre which consists of 70 different buildings on that campus. Three buildings that are joined together form a unit where all the clinical activity takes place. This is the only research hospital in the world where all patients attending come there only because they are taking part in some kind of research programme. Nobody can walk in just to be treated there. It is a gated place so one needs to have a permission to gain access to enter. Dr Nath sees patients in these buildings as well as has his lab there so it is a short distance from bench to bedside and back and forth thus aiding research. Patients can be admitted to this hospital as long as necessary. The study on ME/CFS is rigorously designed to concentrate on those patients that had a clear infectious onset. Once patients meet the criteria they are admitted a total of ten days and during that period of time an extensive battery of tests is being undertaken. They will then look at all the data that they have gathered to make sure they have not missed some kind of underlying disease which explains the patient’s symptoms. They also have a committee of five people who are experts in ME/CFS and they’ll go over the entire record of these patients to decide whether the patient truly meets all the criteria. After this the research team moves to phase 2 where patients are brought in again and this time patients are challenged by an exercise test and collect various kinds of parameters on them before and after. It is a very involved project and they aim is to recruit 40 patients and 40 controls. They anticipate that the study will take about four years to complete. They already have 13 patients and 16 controls recruited. There are a number of sub-studies also. Dr Nath said that even though the NIH is doing this study intra-murally they are happy to collaborate with anyone else. They also put a lot of effort in communication. There are monthly conference calls that they participate in. They have an open book policy and are happy to answer any questions. 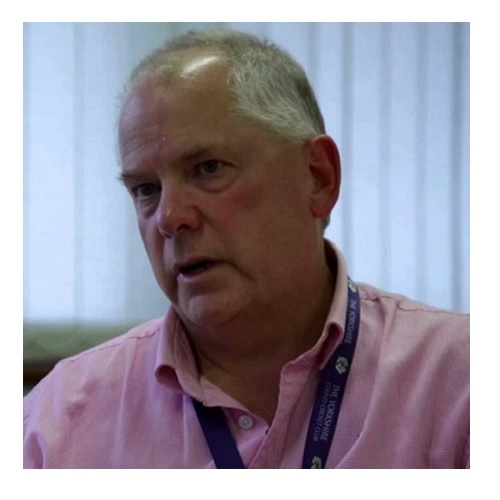 Dr Nath introduced Dr Brian Wallitt who is a rheumatologist and responsible for all the day to day activities of the study such as screening all the records, seeing the patients, making sure everything is co-ordinated and he has put together the team of people involved. The clinical team is critical in making sure everything works. Then there is a team of researchers who give their time to work on this project on top of their normal day to day duties. Question from the audience to Dr Nath asking whether any additional ideas have come along since they started the testing of patients. So for a variety of reasons they have started looking at the nerves and muscles. Question was asked about the possibility of NIH speeding the process by employing researchers that would work on this project full time like the clinical team? Answer: There is no barrier for the NIH to hire people and if they need people they’ll hire them. A lot of the samples will get processed at the end of the study to make sure all the samples are being processed using the same technology (the technology won’t be the same four years from now) instead of processing one sample at the time as they come in. Some samples are best sent out to commercial places for testing so those are decisions to be made as they go along. Question How common are multiple infections (CMV, borreliosis, ehrlichia etc)? Answer: What is required that the disease has been triggered by an infection. If people have subsequent infections they are not excluded but documentation of the initial infectious trigger is critical. Question regarding vaccines and their role as triggers. Answer: Dr Unger said the CDC take vaccines very seriously and she is an HPV expert in her other role and this is the first time these two things have merged. It takes large epidemiological studies to confirm links and so far they have not found any link in the US but they continue to look and monitor the situation. They are trying to gather data on paediatric ME/CFS and if they can get school wide surveillance then they’ll get the information needed. Question Is adult ME/CFS seen as different from paediatric ME/CFS? Answer: from Dr Unger. They see them as the same illness but recognise there are differences for example in that POTS is more prominent in paediatric cohorts. There is no way to distinguish these groups other than by age at this point. More data needed. Question to Dr Unger about prevalence figures that are different (quite high) from the ones currently in use. Also the female to male ratio (42%) is different to the normally used ratios. Answer: The presentation referred to the survey and the figure of 42% referred to % of responders to the survey being female. Higher than normal prevalence figures reflect the fact that they were dealing with self- reported illness and that will end up in some false positives/false reporting but it is a way to start putting the picture together. Dr Unger said she linked this to the Canadian data which was the same kind of self-reported recording system where they found the same prevalence. This is a problem the public health is used to. They know they get a lot of unnecessary data (common colds) for example when they gather information on influenza but they can then compare this data to a smaller population from clinics. Question to Dr Unger: Is there any plan to actually examine the patients to confirm the diagnosis or otherwise? Answer: The study design and IRB is not to do follow ups on these patients. They try to get people to answer the phone and talk to them. Additional studies are needed to flesh out and understand the data. Question to Dr Nath and Dr Unger on neuroinflammation. Have Drs Unger and Nath thought of reaching out to other areas of research such as HIV and cancer (HPV) as these areas have vast budgets and resources. 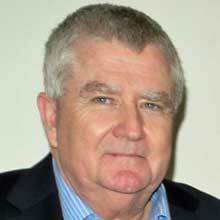 Answer: by Dr Nath: A lot of the knowledge gained from HIV is being applied to ME/CFS. All the immunology Dr Nath does and relates to neuroinflammation is gained from his HIV knowledge. The underlying biological systems are the same so knowledge gained from one disease can be applied to another. There is a lot of cross fertilisation. Dr Whittemore said they have a representative from the National Cancer Institute in their trans NIH working group so they are actively involved and interested. The National Cancer Institute and the Institute of Aging have now funded four groups to develop new ways to measure fatigability which Dr Whittemore thinks is applicable in studying fatigue and PEM in ME once they develop their new methods. Question on genetic studies in ME/CFS. Answer: Dr Nath: Genetics is now the new fashion and everybody in any disease wants to find out the underlying genetic causes. It is not easy to figure that out because all of the dominant ones have already been discovered so you are looking at small effect sizes of multiple genes and those are harder to find and you really need very large sample sizes and proper controls. There is so much genetics going on that you’ll see a lot of data on ME/CFS that has been done or comes up but it will be harder to interprete. Dr Whittemore said they are talking about international collaboration to get it done. She gave an example of epilepsy where they have collected 25,000 samples internationally to be sequenced in the US and that is the sort of level of numbers you need. Due to urgent business and sickness Professor Simon Carding and Shen-Yuan Hsieh (PhD student) were unable to attend so PhD students Katharine Seton and Fiona Newberry presented on behalf of them. Katharine started by telling the Quadram Institute Bioscience (QIB) theory being that the intestinal viral infection alters the gut microbes that can then lead to gut inflammation. If there is inflammation this can lead to leaky gut. If there is leaky gut the gut microbes can escape from the gut causing abnormal immune response to gut microbes ultimately leading to autoimmunity. 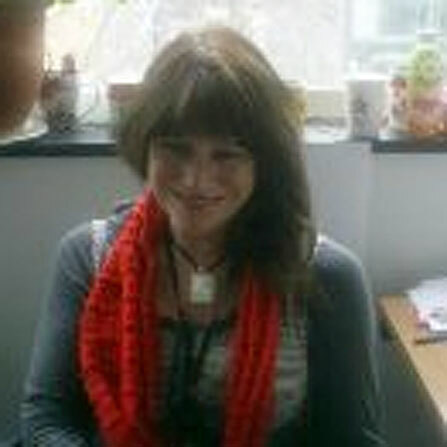 Katharine’s PhD project aims to look whether there is evidence of leaky gut - and to test this they are doing a human study where they are recruiting severely ill ME patients from Norfolk and Suffolk ME/CFS clinic and the CFS clinic run by Dr Amolak Bansal in London. It is a large area that they are covering so they have to travel quite far to collect the samples. 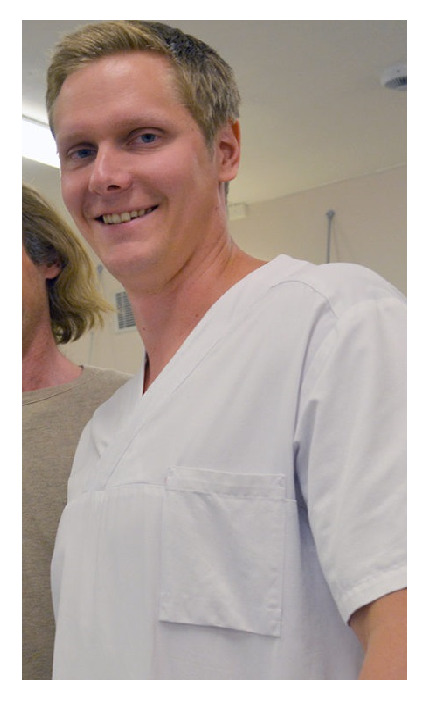 They are looking to recruit ten pairs of severe patients and household controls. A household control is someone who is either related or not related to the patient but living with or caring for the patient. It is important to use household controls because the environment has a massive impact on the gut microbes. By using household controls they are hoping to identify disease related alterations. Katharine’s experimental project involves collecting blood and stool samples, isolating immune cells and antibodies from the blood samples and gut microbes from the stool samples. Katharine is using numerous techniques to test if the immune cells react and bind to the gut microbes. So far she has developed two techniques and found, based on the patients tested so far, that they have significantly higher levels of gut microbes that are recognised by antibodies. Fiona started by explaining She-Yuan’s (“Ernie”) work that involves isolating viruses from the stool samples. It involves going through various steps of virus isolation (it is like a coffee filter) and at the end you get viral DNA that is put on a sequencer and this tells what viruses are there and that is the main part of Ernie’s work. The aim of this first part of the project is standardisation of the protocol for all of the patient samples. The next part of the project is to find out what exactly are these viruses doing. Are they altering the microbiome? The way he is doing this is by isolating specific viruses from the faeces and determining whether they kill the bacteria or not. The ones that do have an effect on bacteria are then put in an animal model (mice) to test if the mice exhibit ME/CFS like symptoms after an exercise challenge. Fiona’s own PhD project is to identify microbiome and virome alterations in severe ME/CFS patients. All three PhD students are studying the same patients and the main question is what happens to the viruses isolated on the faeces. This part of the project involves a lot of computer work and there are several problems involved in interpreting the results as viruses are highly variable, only a small fraction has been identified and in a lot of the faecal samples it is impossible to know what the viruses actually are and the tools used for analysis are massively underdeveloped. 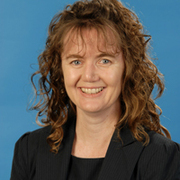 Fiona’s project involves developing a programme that helps interpret the results. Questions from the audience ranged from making the students aware of glyphosate and its possible effects on the gut microbiome, whether twins have been studied (not so far) and the usefulness of probiotics (the need to identify what is missing first before able to recommend anything). 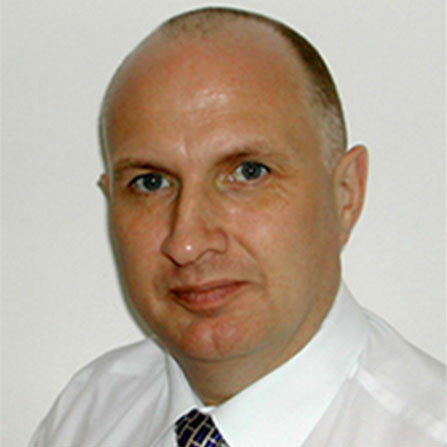 Dr Johnsen first mentioned their recently published double blind placebo controlled faecal transplant trial (FMT) in irritable bowel syndrome patients (IBS). As they thought there are overlapping symptoms in ME and IBS they applied for a Norwegian research council grant to perform the first double blind placebo controlled trial of FMT in ME/CFS. Both diseases lack biomarkers and are disabling, the diagnosis is based on patients’ symptoms. In ME/CFS gastric problems are associated with abdominal pain and change in bowel habits. FMT is transplantation of microbiota from a healthy donor to a patient’s gastrointestinal tract. FMT is an accepted treatment for C Difficile infection but in any other conditions it is considered experimental. The transplant can be delivered either to the lower or upper part of the gastrointestinal tract, normally through an endoscope but also using an enema. There are private clinics offering FMT (one in Florida and one in UK) and even websites with “Do it yourself” instructions. 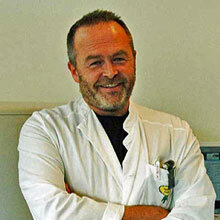 The Norwegian Health Directorate requires strict donor screening and FMT is considered in the same way as tissue donors. Enthusiasm needs to be balanced with caution regarding this treatment. FMT is used to target the immune system, metabolism, CNS and genes for antibiotic resistance. There are now about 200 clinical trials of FMT listed in the clinical trial registry. An example of an immune target was identified by a positive outcome in 3 out of four ulcerative colitis trials. There is an overlap in IBS and CFS symptoms. Both have fatigue (50% of IBS patients find fatigue as a major symptom) and about 90% of ME/CFS patients have had IBS like symptoms at some point over the life time of their illness and 50 % have concurrent IBS. There is bidirectional communication between the gut and the brain. The CNS can influence the microbiota by stress hormones and influence the gut epithelial barrier and modulate the immune response while the microbiota can influence the immune response to release anti- and pro-inflammatory factors that modulate the CNS. The microbiota can also trigger the release of neuroactive molecules. The cause and effect in ME/CFS is unknown. In IBS targeting the microbiota by changing the diet, taking pro- and prebiotics and FMT has been shown to be beneficial in relieving symptoms. Dr Johnsen then went on to explain the results of their double blind placebo controlled study in IBS which showed 65 % improved in the active group vs 43% in the placebo group measured at three months after treatment. There was still improvement at 12 months but that improvement was not significant. They also measured the symptom of fatigue and at three months 60% in the active arm showed improvement in their fatigue scores compared to 36% in the placebo group. At twelve months the significant difference disappeared. Quality of life was 56% improved in the treatment group vs 32 in the placebo group after three months. The IBS study led to the Comeback ME/CFS study with the hypothesis being that ME/CFS can result from the dysbiosis of the faecal microbiome and FMT can alleviate symptoms by restoring a healthy gut flora and cause symptom relief/remission of disease. 80 patients fulfilling Canadian criteria will be included and divided into active and placebo groups. Active group receives samples from healthy donors selected according to the European consensus guidelines and the placebo group receives their own processed stools. There will be a twelve month follow up with a primary endpoint at three months using the Chalder fatigue scale and a secondary endpoint at twelve months also measured using the Chalder fatigue scale. They will also do a neuropsychological test at baseline and at three months. As diet, probiotics and medication can influence the microbiota they will also do a food diary/medication use questionnaire. They will also obtain faeces, urine and blood samples at baseline and at three and twelve months to be stored in the biobank for later use with collaborators. They will collaborate with Simon Carding, QIB (metagenomics) and Maureen Hanson, Cornell University (biomarkers for disruption of gut epithelial barrier). Questions: What is the reason for only transient disappearance of ME symptoms (personal experience). Answer: Could be related to the gut virome. In a study involving ulcerative colitis patients those with lower viral loads responded best. Question: Are patients stratified by those with IBS symptoms and those without. Answer: Patients are stratified by age and gender and they’ll also use the De Paul Symptom questionnaire. Question: Are parasites screened for? Answer: Yes, as according to the guidelines. Don Staines talked about the emerging TRP pathology the NCNED is studying in Queensland, Australia. They are interested in a group of nonspecific ion channels called the TRPM3 ion channels. These are important in bringing in calcium into the cells. These are critical in several biochemical functions (mitochondrial, respiratory etc.) and the talk concentrated on TRPM3 expression in NK cells and the gastrointestinal tract. There has been 30 years of research into NK cells in ME/CFS and the NCNED team use NK cells as the model but Dr Staines stated that what happens in NK cells probably happens in all the other cells that carry these ion channels as well. They have previously found reduction in NK cell lysis and this leads to immune dysfunction, impaired function of the NK cells. As they cannot access tissue in the brain and heart for example they use fresh blood samples instead. Frozen blood cannot be used for this research. TRPM3 has more isoforms than any other TRP. One of the subtypes is non-functional and contaminates other TRP channels nearby. When people say ME/CFS is a neurological disease one can say yes and no as all organ systems are likely to be affected by ME/CFS. 1/ Can they identify novel TRPM3 receptors on the surface of isolated NK cells from healthy controls? 2/ Is there a difference in TRPM3 expression between CFS/ME and healthy controls? Next step is to examine what is the effect. Do calcium levels in isolated NK cells differ between patients and healthy controls? In bright NK cells there is decreased expression of the ion channel, decreased transmission of calcium, changes in biochemistry and impaired lysis of the target cell. Can the levels of calcium coming in and out of the cells be influenced pharmacologically? In vitro tests have been done using pregnenolone sulphate which increases the number of receptors but nothing else changes. Calcium levels are still low in the cytosol and endoplasmic reticulum. It made no difference. They did additional tests by using drugs that block loss of calcium from the cells and this seemed to work. It demonstrated (in vitro) amenability to pharmacological intervention showing that ME/CFS is potentially reversible. As TRPM3 receptors are located in the white matter of the CNS (brain and spinal cord), eye, trigeminal and ciliary ganglia, pancreas, gastrointestinal tract, cardiovascular system and is co-location with mACh receptors (e.g. lipid rafts) they may correlate with various symptoms ME/CFS patients’ experience. Research question 2: Tissue Accessibility? Until now, the work has been done in blood due to inaccessibility of tissue samples but they have now been able to get gut tissue. The TRPM3 expression is sparse in ME/CFS patients gut tissue compared to healthy controls. Research question 3 involved muscarinic receptors. Can they identify and characterise them in the gastrointestinal tract of patients and healthy controls? Are there inflammatory changes in the gastrointestinal biopsies between ME/CFS and healthy controls? mAChM3 is reduced in ME/CFS vs healthy control and IL-alpha is reduced in ME/CFS vs healthy control suggesting it is not the primary mediating pathology. Conclusion: Impaired expression and function of TRPM3 ion channels affecting calcium signalling/stores suggests the primary pathology of ME/CFS. Do you have a biomarker? Answer (Don Staines): This is always a difficult big/question to answer. The SNPs would be a beginning of a biomarker but there is a caveat that the results may be different in a different population. The damaged cells are amenable to pharmacological intervention and the task is now to start isolating various drugs and drug derivatives to look at. Do you anticipate there being differences between cells from a single person so that there might be combination of chemicals that worked in some cells but might not work in others? Changes in the genes are different. We are all different. The test mentioned involved 20 to 30 patients. You take one person and their SNP profile may be different from the other person’s so you cannot say one drug fits all. What is tricky here is the concept of personalised medicine where you have to diagnose each case as it comes from a profile of SNPs and ion channels and there may be subtle differences in drugs and drug derivatives. Therefore, you may have to develop a cocktail approach to each patient. Mady Hornig’s presentation concentrated on trying to parse the heterogeneity of ME/CFS in terms of diagnosis and treatment. Dr Hornig thinks of immune related brain disorders being based on the following three elements: genes, environment and timing and thinking even prenatally there could be some event that influences the person’s development over the course of their lifetime. Examples of disorders were given such as autism and ADHD in early life, MS and ME/CFS in middle life and Parkinson’s and Alzheimer’s in later life. The programme at Columbia university relating to biomarker discovery has been wide from RNA based to protein based and DNA studies. They have tried to utilise all of these to make meaningful subsets. Characteristics of the disease relate to length of illness, onset type, age at onset, disease severity, atypical features and comorbidities. Up to 70% of patients have comorbidities. Allergy/Atopic disorder studies include asthma, seasonal rhinitis, atopic dermatitis, sinusitis, hives, eczema, hay fever and interstitial cystitis. Neurological impairment studies involve excessive brain fog, perceptual impairment, attentional deficits and memory dysfunction. Gastrointestinal dysfunction studies not only consist of microbiome but they are also looking into celiac disease, inflammatory bowel disease and irritable bowel syndrome. Dr Hornig described the group’s previous immune marker studies into early disease versus late disease, where they described the immune exhaustion paradigm. These studies suggested there were meaningful subsets. She then went on to describe their more recent study on spinal fluid samples. They showed that there is a difference between patients with a classical presentation of the illness (viral onset) versus those with atypical based either over the course of the illness or presentation and who went on to develop other severe conditions later on such as cancer, MS or gulf war illness. IL7 and IL17 were low in the atypical group of patients. These patients have sparse inter-cytokine networks. The results were found before these individuals developed some of the other conditions mentioned and they fitted the ME/CFS diagnosis at onset. We may think that classical ME/CFS involves increased microglial activation but based on this study the classical ME/CFS group had signs of less microglial activity. They have also been thinking of allergic/atopic disorders as a subtype. What they found was increased pain and gastrointestinal disturbances and higher levels of endocrine disturbances were predictive of the allergic group. They were also interested in severe cognitive dysfunction. There has been very little work done on cognitive sensory dysfunction. They’ll use cluster analysis to try to define cognitive dysfunction and ultimately see how this correlates with peripheral immune dysfunction and they hope to have spinal fluid samples from other cohorts to look at the central immune regulation. They also looked at gastrointestinal dysfunction. The gut brain axis is going to be important in regulating normal health as well as disease. They used stool microbiome doing metagenomics and also predicted bacterial metabolomics in 50 cases and 50 controls. They then used topological data analysis to see how the data clustered together. They saw differences in patients with and without IBS in their metabolic profiles as well as their bacterial profiles. They saw particularly high levels of deethylatrazine (a herbicide common in ground water throughout the US) in all of the groups. It has endocrine disruptor effect. Vitamin B6 pathways were elevated in the non-IBS group. Patients were also grouped based on BMI. They want to separate biomarkers which are stable versus fluctuate over time and which of them are disease associated versus state associated. They are interested in the degradation of the herbicide deethylatrazine as a potent endocrine disruptor. They have also done plasma metabolomics to see which metabolites may have come out of the gut or been transported by the short chain fatty acids into the blood stream of these patients. The cytokines and metabolites can affect the blood brain barrier. Diet is very important as there some substances such as tryptophan that are important both in production of serotonin as well as downstream synthesis of melatonin which influences the circadian rhythm. Healthy CNS and immune function depend on balance. Autoimmune disturbances may result from failed uptake of dietary antioxidant precursors in terminal ileum. Certain microbes may also lead to a more pro-inflammatory effect of Th17 and counter reduction of Treg cells. They use deep data mining techniques in their biomarker discovery project. They want to look at both environmental exposures as well as genetic variants. Question How does your allergy-testing correlate with standard allergy tests such as IgG and skin tests? Answer Point taken. Patients’ self-reports were being used and objective measures have not been looked at yet except in that cytokines are allergy associated. Funding needed to do studies with proper measures. Maureen Hanson started by saying that there is a confounding factor in all the studies they do in that there is within group and between group heterogeneity. It is usually possible to control for age, gender, race, ethnicity, body mass index and length of illness but there are other factors that are very difficult to control for. These are things such as genetics (even identical twins have some differences in their genetics), initial trigger, co-infections, immunological history, current environmental exposures, activity level, symptom severity, medications and supplements and diet. One way of dealing with this problem is to compare the same subject following provocation of symptoms or amelioration by treatment. This can give insight into disease pathology. 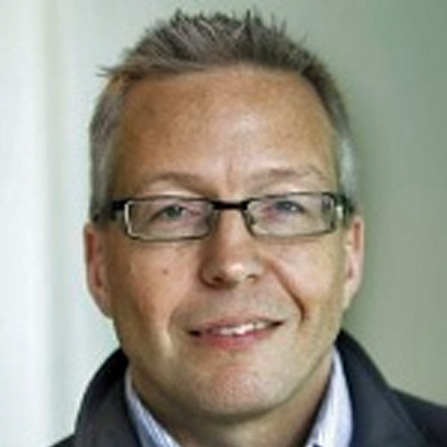 Chances of studying patients in this way is to follow patients in the two treatment studies Cornell is collaborating with, the Norwegian FMT trial (Dr Peter Holger Johnsen) and an Ampligen trial (Dr Dan Peterson, Simmaron Research). They want to see if gastrointestinal barrier improves in the FMT trial and follow some blood biomarkers in the Ampligen trial. Provocation studies also allow one to study patients that get worse and healthy controls who remain well. Then you compare to see what happens to the same person before and after provocation/treatment so they serve as their own controls and this reduces the need for controlling for several variables. You can also of course compare patients to healthy controls before and after provocation/treatment but having someone serve as their own control is going to be helpful in trying to figure out the illness. The way to make ME patients worse is to ask them to exercise so clearly exercise therapy is not something people should be doing since they are going to get worse. They do a two-day cardiopulmonary test and usually sedentary controls feel invigorated 24h after the test but if you are a patient you’ll have post exertional malaise and you will not be feeling good. The advantage of a maximal cardiopulmonary test is that you get a lot of physiological data (VO₂max, Oxygen pulse, Oxygen saturation etc.) A typical test only requires ten minutes of exertion compared to some submaximal tests that can last 30 minutes. The collaborator in these tests is Dr Betsy Keller who has now tested 94 patients. Most of the patients came in to prove their disability and she has been able to group them into different subgroups depending whether it was their VO₂max, blood pressure or heart rate that went wrong to cause post exertional malaise. They are going to use this data to see if it correlates with several of the other parameters that they found changed in these patients even before they induced post exertional malaise. Dr Hanson then talked about their NIH funded research centre. They have three research projects, administrative core, clinical core and integrative data analysis centre. They are recruiting ten patients and ten controls per year from each of the three clinical collaborating sites (Geoff More, John Chia and Susan Levine) making it 90 patients and 90 controls at the end of year three. The three research projects are oxidative stress and neuroinflammation (Dikoma Shungu), extracellular vesicles (EV) and signalling (Maureen Hanson) and single cell expression ( Andrew Grimson). Dr Shungu’s group has already shown that there is increased lactate and reduced glutathione in the brain. Why would you have increased lactate in the brain? One possibility is mitochondrial dysfunction that is causing the energy metabolism to dysfunction leading to increased anaerobic glycolysis and lactate is the product of the anaerobic glycolysis. Why is there mitochondrial dysfunction? This is unknown but possible causes could be infection and immune dysfunction. Whatever is happening is causing oxidative stress and if glutathione is lower it means one cannot mitigate oxidative stress. So for some unknown reason toxic free radicals are being created causing oxidative stress. What happens when you have oxidative stress? They cause chemicals called isoprostane formation in phospholipids and this results in membrane degrading enzyme. When the membranes are attacked by this enzyme you have isoprostane release in the blood stream. This has been documented in an ME/CFS paper and what isoprostanes do is cause constriction of blood vessels and that means reduced blood flow. There is good evidence from many papers that blood flow is reduced in the brain in ME/CFS. Reduced blood flow causes hypoxia and hypoxia can cause increased glycolysis due to reduced oxygen leading to elevated lactate. Hypoxia can also cause mitochondrial dysfunction and the mitochondria themselves can cause oxidative stress and release oxygen radicals. This all leads to a vicious cycle and there is a need to find out what causes the vicious cycle in the first place. To do this work Dr Shungu is going to do MRI and PET scans before and 24 hours after an exercise test. This involves 30 patients and 30 controls. A Japanese study found evidence of microglial activation in ME/CFS. Microglia are immune cells in the brain and they have mitochondria that have a protein called TSPO on the outer membrane. TSPO is a known marker for neuroinflammation in many diseases (MS, brain injury). To measure the amount of TSPO one uses a radioactive probe that binds to this protein and then you measure the amount of radiation to see if there is microglial activation. This is what was done in the Japanese study. The higher the amount of the probe the worse cognitive dysfunction and a higher amount of the probe also correlated with higher amount of pain. Dr Shungu is going to replicate the Japanese study. The second project is led by Dr Hanson and this involves drawing blood before and after two exercise tests. This blood is going to be used for a number of different assays looking at metabolites, extracellular vesicles (size and amount), vesicle protein cargo and RNA sequencing. There are many collaborators doing these experiments. The group has results of some interesting metabolite studies and are hoping to publish those soon. Dr Hanson went on to explain extracellular vesicles. There are three kinds. There are exosomes, microvesicles and apoptotic bodies. Extracellular vesicles are present all over the body, they carry nucleic acids such as RNAs, they carry different functional proteins on surface and as cargo, are used in communication between cells and they can regulate immune response. Extra cellular vesicles cross the blood brain barrier and may be involved in neuroinflammation. Brain cells themselves can also give out extracellular vesicles. These cells gives researchers easy access to study the brain. Dr Hanson’s group has done a pilot study in size and number of extracellular vesicles in plasma of 35 patients and 35 controls. The patients’ physical function scores (SF-36) are lower than those of controls and when they looked at the extracellular vesicles they found that exosomes were increased in patients at baseline. They are going to do RNA sequencing to see how miRNA cargo differs between EVs in plasma of patients and controls. The vesicles contain miRNAs and miRNAs are particularly potent regulators of gene expression. They can both up and down regulate genes and therefore effect the cell function. They are also going to do protein profiling of EVs. The third project by Andrew Grimson is going to look at gene expression in single cells before and after exercise. As this is a very expensive method they are going to analyse gene expression in single cells before the first and before the second exercise test when post exertional malaise has already been induced. That should give a good idea what is going on. There have been many reports of immune system abnormalities in ME/CFS and that is why Dr Hanson believes calling this an enervating immune system disease is suitable and this really is a neuroimmune disease. One problem though is that the findings are inconsistent. There are 46 publications where people have analysed RNAs in immune cells and these have just not given a consistent story so we do not have a major conclusion that comes out of these many studies. One problem may be that the previous studies have studied all of the blood cells together or all of the lymphocytes together. There are many immune cells and by studying all of them together something important may be missed. By analysing single cells previously missed findings may be found. Last thing needed to do is to see if there are correlations between the data to give insights into new mechanisms. 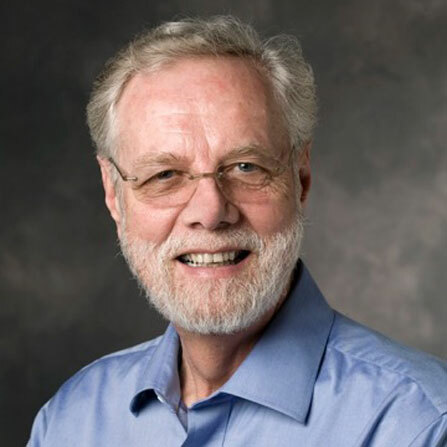 The goal of the Cornell group is to identify biomarkers for specific diagnosis of ME/CFS and also to develop biomarkers for treatment that do not need to be specific. Biomarkers help understand pathophysiology of ME/CFS and may reveal existing drugs that could be used to treat the disease or help develop new drugs. Question: Could one of the bad actors be an endogenous retrovirus that is being expressed and causing problems? Answer: There is at least one study that was unable to find an expression of endogenous retroviruses. However, like many things in this illness there needs to be replication and expansion with the latest methods so hopefully someone takes this further. There will be some information regarding endogenous retroviruses in the single cell studies. There are also other groups that are doing RNA sequencing of immune cells. James Baraniuk presented his “Year End” report. They have an exercise model that they have used for ten years. They do an extensive set of questionnaires (about 50) and these are done online so that the patient can stop any time they want to and carry on later. The physical and history part is now 50 pages long and it can take up to four days to complete. It is not something a GP can do in eight minutes. Dr Baraniuk is trying to work with the common data elements to try to develop the key questions that should be asked in every study so that the patient populations from all around the world can be standardised. They also do allergy skin testing and the rate of positivity is the same in ME/CFS as in the control group. They have now done this in their fourth cohort. The levels of antibodies to allergy IgE are also equivalent between the two groups. Dr Baraniuk does not believe there is an increase in true allergic disease but there is an increase in sensitivity. After talking to the participants they do an MRI and this includes an MRI during the cognitive test so that they can see if there are differences in the regions of the brain that are activated while the participants are doing the memory test. After this participants do an exercise test that is similar to the one described by Dr Hanson except that Dr Baraniuk’s participants do a submaximal test (at 70% of the person’s predicted maximum heart rate) which lasts 30 minutes as opposed to 10-12 minutes as described by Dr Hanson. The participants can increase their heart rate up to 85% of their predicted maximum that is the same as cardiac stress test. They do not have to do 30mins. If they want to stop earlier they can stop and that would essentially be the person’s maximum. Dr Baraniuk finds that his research participants’ day one and day two tests are highly reproducible. After the second day exercise the participants do their second MRI to see if there are areas of the brain that have changed while they do their thinking and are those changes caused by the exercise and whether this is a model for exertional exhaustion. Finally, everyone who is agreeable gets a lumbar puncture. These participants are kept overnight to reduce the risk of spinal headaches. The talk then went into discussing hypotheses including depression, pain and tenderness, exercise, postural tachycardia which is not the same as POTS, orthostatic intolerance, MRIs and some results from the CSF studies. The depression scale used is a Center for Epidemiological Studies- Depression (CESD) questionnaire involving 20 questions with a scale of 0 to 3. The maximum score is 60 and if one’s score is 16/60 or more one is classed as depressed. This has been shown in 28 studies involving over 22,000 people. The problem is the scale has a 30% false positive rate. One can do a factor analysis as the questionnaire can be broken down to four factors that are grouped together from the 20 items such as somatic, depressed, anhedonia (lack of pleasure) and interpersonal. The somatic factors are fatigue, sleep, cognition, effort, bother, talking less and appetite change. These four factors have been known for decades but nobody has ever bothered to score them in any patient population. Dr Baraniuk’s group did this and discovered that using this scale 24% of the US population is at risk of depression and 54% of ME/CFS patients are at risk of depression but this score is biased as it is caused by high somatic domain scores (sleep, cognition etc.). It is the same thing for Gulf War Illness. Depression in ME/CFS discounted based on this evidence. Pain is not in the SEID criteria because it does not differentiate CFS from other diseases such as Fibromyalgia. Dr Baraniuk says he has a big problem with how these diseases are defined and to bypass that he wanted to know about tenderness. Does 4kg pressure hurt? The Baraniuk team uses a spring-loaded gauge to measure pain and the person being measured is in charge during the procedure. They use this on all of the 18 fibromyalgia pressure points and they can then calculate a score for average pain. The score for healthy people is about 7kg of pressure. The CFS group peaks at 4kg. The same thing happens when patients breath in formaldehyde or any other chemical, are exposed to bright lights or loud sounds. The threshold is broken. An ambient background noise can become a loud and overblown when you have CFS. It is not imaginary but a very real broken switch. It is a hypothesis. When they did this they were expecting to see similar results to those of the VO2max stress tests. They did not see any difference in day one and day two results. They were identical and overlapped. The test is up to 30 minutes but people can stop earlier. If people can only do 2 minutes on the first day they can only do 2 minutes on day two as well so it is highly reproducible and turns out to be useful as far as the MRIs are concerned. It also means that if there is a decrease in VO2 in the maximal test there is something magical happening after the Baraniuk participants stop. We need to know how many people in the VO2max test actually have decreased performance, how much is that decrease and we need to know the sensitivity and specificity particularly if this is going to be used as diagnostic for CFS and certainly if it is being used for disability purposes. Result: No difference in performance between day one and day two submaximal exercise tests. In previous research on Gulf War Illness (presented at IiME by Rakib Rayhan) they found 1/3rd of patients developed POTS after day 1 of submaximal exercise. Lying down they would have their normal heart rate and before exercise after they stood up from lying down position their heart rate would increase by about 12 beats. After exercise 1/3rd would have an increase of at least 30 beats when they stood up and this is a definition used for POTS. This was an unexpected result. They got funding for a verification study in GWI that has now been finished but has been rejected for publication and that is what happens for verification studies. They found that the START (Stress Test Activated Reversible Tachycardia) group had brain stem atrophy and this is similar to what Richard Kwiatek (Australia) reported in CFS. They then did the same study in their CFS group and report similar findings to GWI START group. Dr Baraniuk encouraged all exercise study groups to do lying to standing heart rate measurements before and after exercise to disprove his findings. Dr Baraniuk think what orthostatic intolerance really is. Is it a difference in sensitivity coming from the vestibular system that one is feeling dizzy and light headed even when lying down and it has nothing to do with one’s heart rate or autonomic system. Result: Exercise does not worsen orthostatic intolerance. There are some changes but it is not that big. They can conclude that those groups that have changes in their heart rate have worse brain function after exercise. miRNA levels were higher in people who did not exercise and they went down after exercise. It is not a robust enough diagnostic marker for CFS but it has led to some ideas about what might be going wrong. If the miRNA level goes down one has more messenger RNA and one can make more protein and that protein will have more function. It looks like exercise in CFS leads to increase in some particular enzymes such as Insulin Llike Growth Factor 1 receptor, Transforming Growth Factor Beta Receptor 1 which are very important for proliferation of brain cells. They have also looked at where these are found and they are in the microglia and choroid plexus which is a vascular region where most of the cerebral spinal fluid is being created. This gives some hints as to where dysfunction might be found after exercise challenge. Conclusion: CFS is not depression, CFS is somatic, tenderness is increased, there is cardiac effect, MRI effect and CSF changes. Question The effects of activity may not be visible the day after exercise/activity but later on. Answer One thing the Baraniuk group is looking at is how much exercise is needed to cause a delay in the response. A curious thing is that sometimes a small effort leads to an immediate collapse and a bigger effect may have a longer delay. Question A patient with POTS went to get tilt table testing and managed to get their doctor to insert a Hickman line. They now start the day with a litre of saline and that has improved the patient’s POTS. Does anyone else have the same experience? It seems a drastic measure. Answer It is drastic. Dr Baraniuk said he has had one patient that had a central line and would infuse two litres and then go shopping and come back and do another two litres and go to sleep and they felt good. Also the patients that get saline after their spinal tap brighten up. Dr Baraniuk recommends Gatorade to his patients as it is impossible to get insurance companies to pay for saline infusions. Ron Davis talked about the Stanford group’s latest discoveries and future plans. All their work has been supported so far by the Open Medicine Foundation (OMF). They have a scientific advisory board and many of them were in attendance at the colloquium and conference (Maureen Hanson, Jonas Bergquist, Øystein Fluge, Ron Tompkins and Wenzhong Xiao). OMF have just funded Drs Tompkins and Xiao to set up clinical research at Harvard University. One thing that has been clear to Davis’s team for some time is that they need an assay for a biomarker as so many patients (including Dr Davis’s son) have been told that there is nothing wrong with them because all routine tests come back normal. Dr Davis’s son is now severely ill. He cannot talk or read and Dr Davis still takes blood samples from him regularly and they run the same tests on him as doctors do and he is perfectly normal. The problem is that the routine tests are no good. The focus of the team is now to prove that the patients are not healthy and they are being compared to healthy controls to see if there is a clear difference. That is task number one. 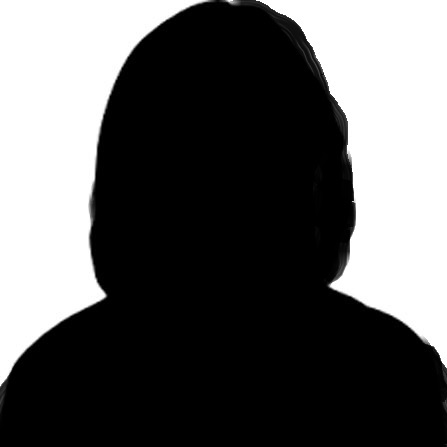 The next task is to find out if they can distinguish ME/CFS from another disease. This is very difficult to do as for one thing one needs to do all the other diseases. Dr Davis is not sure this is necessary. What is necessary is to work with physicians to discuss with them what they need to know for a diagnostic test of this type or can they diagnose patients using some other criteria, by just talking to the patient. The Stanford group has done some standard testing using the Seahorse instrument. They get best results by using isolated T-cells from patients and stimulating those cells and then measuring the energy production. The results have been reproducible. If they do not stimulate the T-cells the results are more variable and it is also dependent on the time the patients have last eaten. It is difficult for the patient not to be allowed to eat before they come in for testing. This test is also very expensive. Another tool the Stanford group has developed is the so-called Nanoneedle. This tool measures electrical impedance that is a very sensitive electrical measurement. They make 400 measurements/second. Once they have finished taking a sample they have made 1 billion measurements. This is much more useful than medical devices that make just one measurement. The Nanoneedle can be made commercially and if made in large numbers they will not be expensive. The Stanford group could make them for $1 to $5. They have now also figured out how to clean them so they do not have to remake them. The measurement is done using a blood sample with red blood cells removed and then only a drop of blood is needed. A healthy person’s measurement looks flat on a graph and it is the same for CFS. They reasoned that CFS patients’ cells need to be challenged so they added sodium chloride salt to make the cells work harder and then their impedance increases compared to the healthy controls. This same test can be used to see which antibiotic works on cultured bacteria and it can also be used on tumours. Physiological change will change the impedance. It is a cheap way of doing testing and the results can be obtained real-time. This might be useful as a diagnostic tool. The team has also used the Nanoneedle to test how drugs work on the cells and they have found a number of drugs that seem to be able to get rid of this impedance effect. It is unknown if these drugs turn out to be useful or not. Dr Davis showed an example of one of their experiments to show there was a very big difference between patients and controls, something that has only 1 in 10 million probability of occurring by chance. They have done a few experiments to understand what works in this assay and this is called “The Plasma Swap Experiment”. The initial thought was that it is in the cell so they tested that doing a plasma swap. They took plasma from CFS patients and put it on healthy cells and vice versa. They find that the signal they get tracks with the plasma and not the cell. That even suggests that the cells are healthy but there is something in the plasma that is causing this effect. They do not know what it is yet but it is something that needs to be figured out as it is going through the entire body and may be causing some of the effects. If they can figure out what it is and what size it is they can try to figure out how to remove it and that could be treatment. Another device that the team have tested is a microfluidic device and they are collaborating with Professor Anand Ramasubramanian on this. This device measures the deformability of red blood cells. The idea is that red cells have to go through a device that is a bit larger than a lot of the capillaries in the human body. If cells are not deformable they get stuck when they go in and when they reform they go slower through the device. The amount of elongation of the cell can be measured also. This is easy to do. The device needs refinement to make it smaller but they do see difference already in that the red cell entry is slower, transit velocity is slower and the elongation capacity is less in ME/CFS. This does not currently work as a diagnostic tool as there is a lot of variance. This is an inexpensive and simple test. They will use Atomic Force Microscopy to measure deformability accurately. Another device the Stanford team has come up is a Biomarker-Free Sorting of Rare Cells from Blood. It is a device that measures magnetic levitation. This means that they can suspend something in magnetic fluid if they put a magnet on it. This allows cells to be suspended very quickly. Blood is put in the device and when the magnet is put on the cells will quickly go into density in a long tube. This device was developed for cancer to separate tumour cells from the white blood cells. The device can separate lots of different cells. Each run on this device costs only 5 cents. CFS patient’s results on white blood cells showed variation and density and some of the results were near normal and it turns out the patient had bacterial infection at the time of better results. The bacterial infection made the patient feel better not antibiotics. There are other patients who report similar saying fever makes them feel better. Dr Davis thinks it is the bacterial infection that makes them feel better not the fever. In general the patients’ cells are light. The team want to look at what happens in bacterial infection to make patients feel better. Portable, mobile health platforms that use smartphones as computers allow rapid sample preparation, blood cell separation and count. Next task is going to be a biomarker Bake Off. This means all the samples coming in are being run on all these devices (nanoneedle, microfluidic blood flow, magnetic levitation, Seahorse and metabolomics). Robert Naviaux found some metabolomic markers so they are comparing their findings to his finding. This will give five different instruments to look at the consistency. The reason for doing this is that there might be some exceptions and things do not work quite right but the other diagnostic tool did work right and is measuring something different. So in fact one might need to use two different instruments. They do not want many false negatives. They also need to look at other diseases and how well the tests perform in those. That is when they need the help of physicians because it is possible that other diseases will show the same behaviour. The biggest goal is to show that the patients clearly are not healthy. This project is funded by OMF. It involves 20 very severely ill patients. The project cost about $2million. The patients are bedbound or at least house bound and could not attend clinics. They have also done a study of 15 families where there is more than one affected family member including unaffected members. It is unfortunately not uncommon to have more than one family member affected. There is a reasonable chance that there is something genetic going on in these families. The data is not yet available. Most people think that the way to do research is that you create a hypothesis and then you do a test to try to rule out that hypothesis. That is actually wrong according to Dr Davis. He says NIH has got it wrong. That is not a scientific method but that is what the NIH requires if you write a grant proposal. The scientific method is observation and then hypothesis. Without observations random hypotheses are being formed based on nothing and we will never get there. What you want is an observation and that observation leads to an idea and that is the hypothesis. 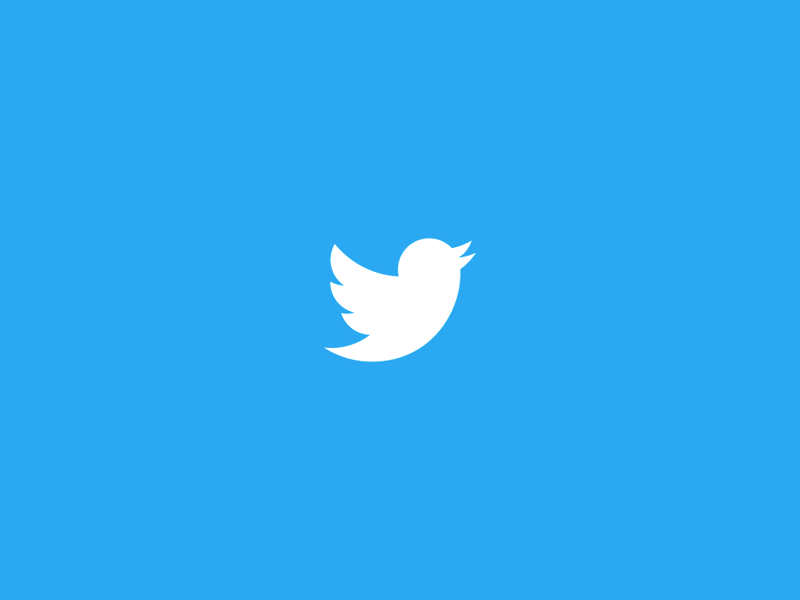 You are testing the hypothesis based on something that has been observed. That is how all science is done. Why they say that when you write a grant you test a hypothesis and inevitably you do new observations and that is the basis of the next experiment and that can keep going on and on. What happens when you start a new disease? You have to make observations and then you can generate hypotheses. Dr Nath’s talk showed that this is exactly what he is doing. He is making lots and lots of observations. There is no hypothesis there. So the idea is to create as much data as they can and that is what they are doing and that is why it is taking so long to even talk about it. It is a massive undertaking to analyse the data. They have found that CFS is negatively correlated with depression. They also tested cell free DNA for traces of viruses that patients tell they have or had when they first became ill. Even if the organism is not in the blood their DNA will be. They tested multiple regions of the viruses using a multiplex assay. The result was there were no viral infections that were different from healthy controls or that the healthy controls had more viruses that ME/CFS patients. Dr Davis said that the result makes him suspect that patients have something else that feels like a viral infection. Inflammation for example can make people feel as if they had a viral infection. Most of the viruses they tested for do not do anything by themselves. It is the body itself that does the signalling to tell that there is something wrong. The reason Dr Davis was stressing this point was to tell that if patients do not have a viral infection they should not be taking antivirals. It is not healthy. The reason being that antivirals generally target the synthesis of the DNA from the virus and it works because they are very primitive DNA preliminaries. They can be inhibited without inhibiting the human preliminaries but the problem is that mitochondrial preliminaries are primitive also and some of the antivirals can inhibit mitochondrial preliminaries. Given the fact that there is some evidence of lack of mitochondrial activity in ME/CFS it is probably not a good thing to take antivirals. Dr Davis thinks patients should not take anything they do not need. Dr Davis and his team are also doing new probing as they have found that ME/CFS patients’ gene expression is similar to the expression from trypanosome (Sleeping sickness). The symptoms for Sleeping sickness resemble those of ME/CFS. One notable symptom is sleep reversal and that is common in ME/CFS too. This discovery led to the decision to develop multiple DNA probes against all known trypanosomes and parasites. The West African trypanosome is very easy to detect in the blood but the East African one is very difficult to find. They also hope to make probes against RNA viruses that is not easy as RNA is not stable in the blood. This approach would allow them to look at a lot of infecting organisms. There are a lot of possibilities and maybe it is a new virus involved in ME/CFS and there was the excitement with XMRV. They have done a new microbe discovery project once and that came out empty. Some patients have told Dr Davis they have heavy metal contamination and they need to detox from the heavy metals. The team have done urine analysis of all the severely ill patients and have found that they do not have heavy metals. However, they found that these patients are low in essential metals. They have a hypothesis of this. One is that patients are low in essential metals as they are detoxing and removing essential metals. The way the urine tests were done did not detect mercury so the team took some new patients to test this by doing a hair analysis. They found that high mercury is associated with low selenium (antioxidant) and the patients that had higher mercury levels had got it through eating a lot of fish. A little bit of a surprise was a patient from Finland who had a fair amount of uranium which is probably environmental and they do not know the medical consequences of this. The gene expression study in the severely ill patients showed a lot of changes in gene expression in the immune system and that means there is a lot of immunology going on and the team are not surprised by that. These same patients have high cytokines as well. The team also want to look at the autoimmune system and what they are looking for is T-cell activation. They are now adding single cell analysis to this project. T-cells eliminate cells that are infected with any pathogen. If the T-cells find something foreign in the body they amplify and this is called T-cell expansion. They have found T-cell expansion in ME/CFS and that means T-cells are recognising something. Dr Davis’s team have looked for a foreign agent but have not found anything. The T-cells could also be seeing self and that would be an autoimmune disease. It could also be something else that is triggering the immune system and then it would not be an autoimmune disease. Dr Davis’s team have also done whole genome sequencing. There are some genes that are different. Some of them are involved in NK-cell recognition. They are now going to do HLA and KIR sequencing. They continue to explore DNAH11, FAM20C, KIRs and NRXN1 (neurexin, a very large gene expressed in the brain). They also have found a lot of metabolic changes and you see a lot when you look at different small molecules in the blood. They see activation of the immune system, a lot of genetic and metabolic changes. They have also done the microbiome. Looking at metabolic traps (combining metabolite and genomic data taking a systems biology approach). The idea is that due to genetics and inflammation that gets started the pathways are not working as they should due to mutations. If this is true it is probably easy to fix according to Dr Davis. This has not been tried before. It should be inexpensive and should only take a few days to get the patient out of this “metabolic trap”. This research is not aimed at getting a publication out but trying to figure out what it is. Dr Davis wants everyone to start thinking this way to help find a solution. Dr Davis is optimistic. Question: There have been a number of reports that cholesterol is high in many ME patients even though they are non- obese. Cholesterol could change in the discourse of the blood due to temperature (from 37 to 34 degrees) changes. Could that change affect the impedance measurements in your instrument? Answer: The disease affects a lot of lipids, metabolism and that is why the white cells are light and that is why a lot of the metabolites are lipid containing. They do not know why this is but one thing they see is a fair amount of mutations in fat metabolism in the patients compared to healthy controls. If one cannot metabolise fats they accumulate and then you get feedback systems and it affects all sorts of other fats as well. You ought to get rid of them so you may not be able to oxidise them in the mitochondria and you may have to oxidise them in ER. Question continued: What might be a good control group that would mimic ME patients. Perhaps a group of people with high cholesterol levels? Answer: People with high cholesterol would probably be genetically determined and it is probably very narrow in terms of the lipid problems they have. It also looks like a lot of the glucose is shifted into the sorbitol pathway which then goes to fructose and then to fatty acid synthesis so your body is even making fat. There is no understanding of this at the moment but there is something that is off in the lipids in the patients. Question relating to improvement under fever conditions that has been also observed in autism (speaking during fever but not otherwise) and the other question relating to red cell deformability. In sickle cells there are certain processes that are oxygen dependent and some that are not. Do you or can you control oxygen sensing in your system? Answer: There is a close relationship to autism. The metabolites look very similar. There is obviously a difference in onset time. Bob Naviaux has treated some autistic children with Suramin that blocks the purinergic receptor and he got a great deal of improvement. Dr Davis has been trying to get hold of Suramin but he cannot. However, a new manufacturing plant is being set up in the US and it may be available by the end of the year. The nice thing is that Suramin is not very toxic and curiously, it is also used for trypanosomes. Question: Have you got plans of trialling any of the drugs tested on the impedance device on patients? Answer: We are trying drugs that are FDA approved but as we are not physicians we cannot so we partner with other physicians and that would be something we are going to discuss with Ron Tompkins. We found one drug that seems to improve the ATP production and that is a drug called Adavan. It helps but only for a few hours and it is used for crisis management only. There was a general question related to what was needed most to make progress. Dr Davis said money to pay for staff salaries for at least two years ahead. There is a lot of head hunting going on and if people do not know about their future salaries for longer than 6 months ahead they move on. 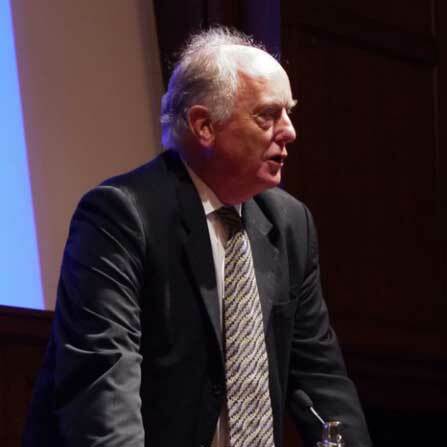 The conference concluded with comments from Dr Ian Gibson . 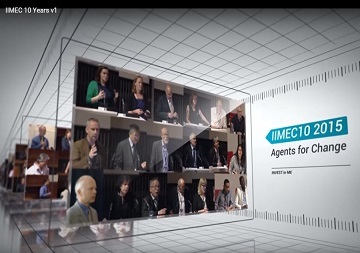 Invest in ME Research have produced a DVD of the IIMEC13 conference proceedings. The Invest in ME Research Conference DVDs are professionally authored and filmed DVD sets that allow continuous professional development to be obtained by using these DVDs from this CPD-accredited conference. The DVD's are heavily subsidised by the charity in order to make them available to as many patients, patient groups, carers and researchers, healthcare, media and politicians as possible. The DVD set contains the full presentations from the 2018 conference plus pre-conference dinner talks. 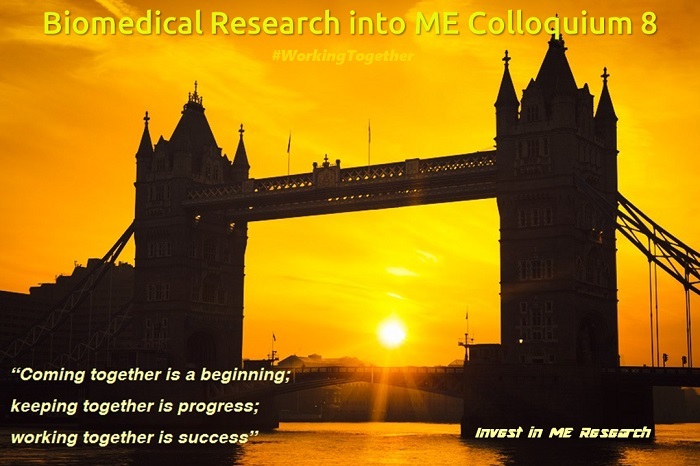 Invest in ME Research organised and hosted the Biomedical Research into ME Colloquium number 8 in May 2018. Ninety researchers from fourteen countries attended the two-day meeting. The collaborative atmosphere and resulting collaborations from the Colloquium will help further progress research and ultimately help patients. 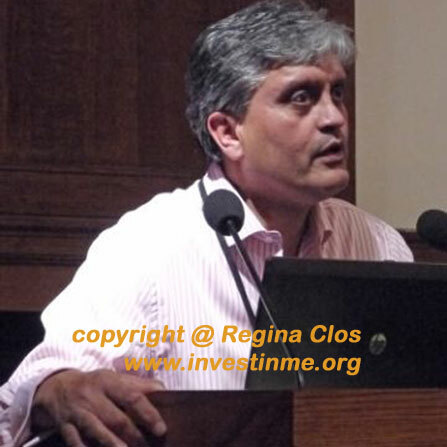 This web site has details of all of the previous Invest in ME Research International ME Conferences that the charity has arranged and hosted since 2006. 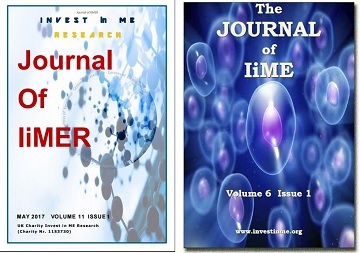 For each conference we produce an edition of the Journal of IiMER. Containing news, articles and conference presentation abstracts.